Hey from a very sunny London Town - I mean it doesn't get better than London summer! So take it all in as I'm sure we will only have a few more weeks. Im sure like everyone else we have a ton of weddings / parties to attend this summer - some abroad and some in London. Finding the perfect dress for each occasion becomes very difficult after a while. So we have made your life a lot easier and have broken down our top 4 favourite trends for all your dress needs for each occasion. If you can't decide on the colour metallic is the perfect option. 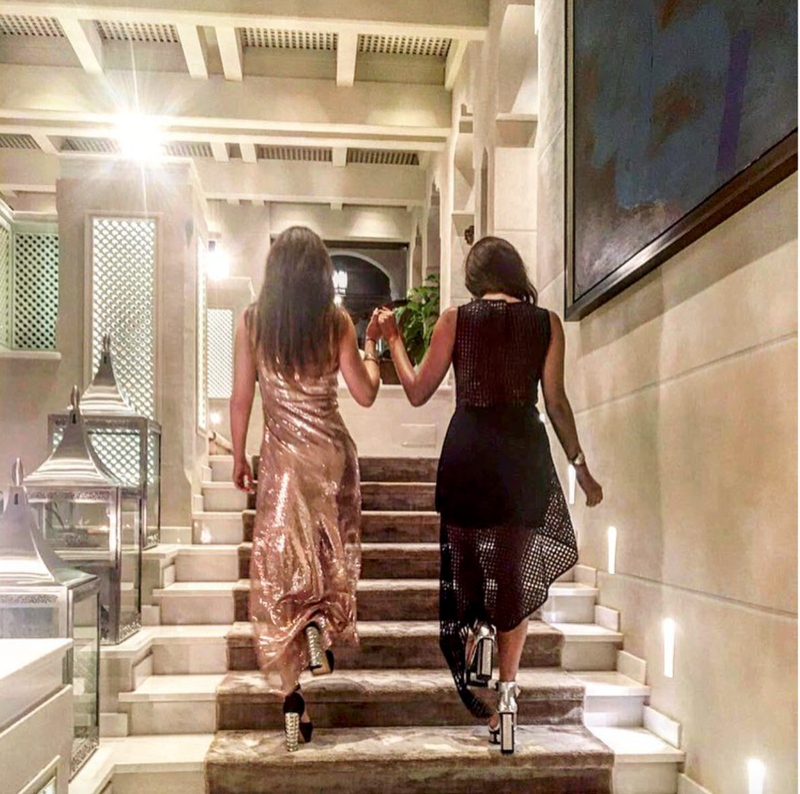 Jade went for a black and gold metallic dress from Revolve but there is so much variety from all silver, gold, gold and black to mix with plus the perfect tones for that summer tan. There is nothing more statement than a bold print - and we are especially loving leopard, polka dot and stars this season. It instantly gives the outfit something keeping all the accessories simple. Its a classic investment that never goes out of style when your sick of LBD there is nothing more striking than a simple red dress - if your looking for something thats going to make everyone stop and look stick to your LRD this summer!